A man and a woman fell from a popular overlook that has no railing, 3,000 feet above the valley floor. 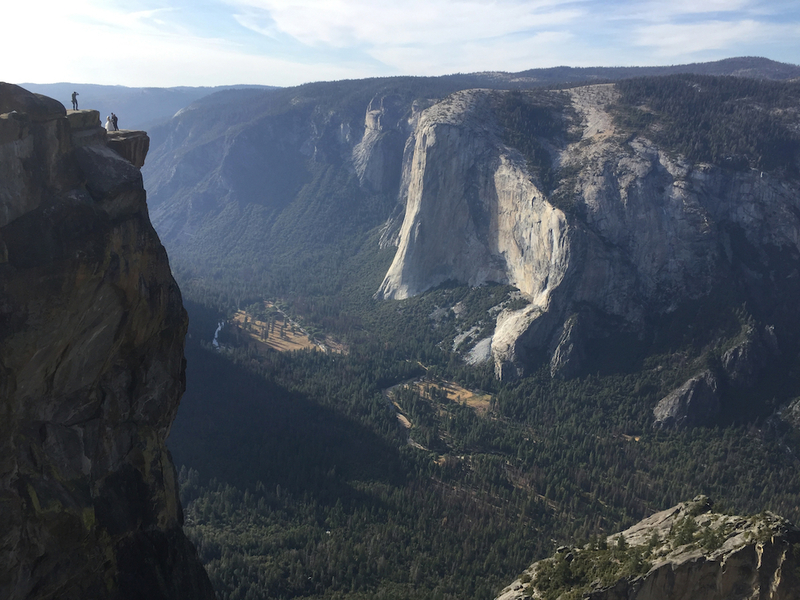 SAN FRANCISCO – Yosemite National Park rangers have recovered the bodies of two people who fell 800 feet from a popular overlook, after the recovery team worked to reach them for hours, an official said Friday. Park spokeswoman Jamie Richards said rangers had to rappel down and climb the steep terrain in Taft Point as they worked to reach the bodies of a man and woman. A California Highway Patrol helicopter assisted them, she said. Officials are investigating when the pair fell and from which spot at the overlook 3,000 feet above the famed Yosemite Valley floor, Richards said. A tourist spotted the victims Wednesday. They have not been identified. More than 10 people have died at the park this year, six of them from falls and the others from natural causes, park spokesman Scott Gediman said. An 18-year-old Israeli man accidentally fell hundreds of feet to his death last month while hiking near the top of 600-foot-tall Nevada Fall.